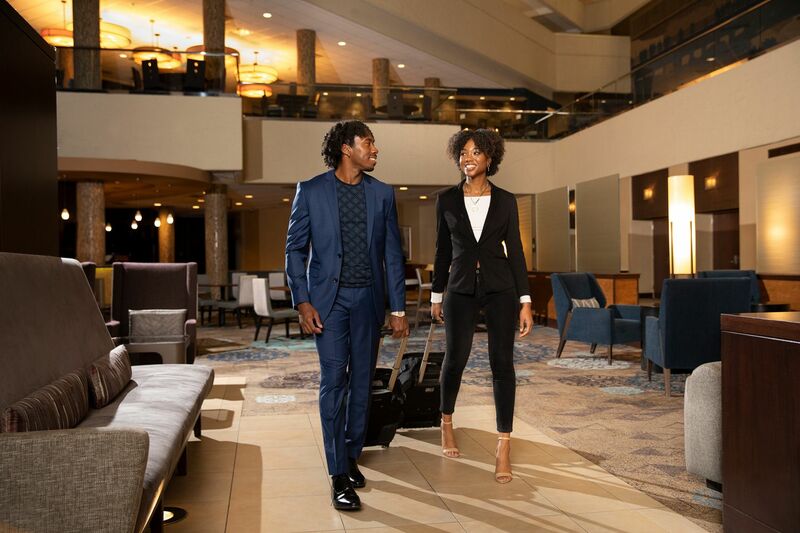 Make your event the object of envy when you host it at the “#1 Convention Property in Florida and Orlando” (CVENT, 2013–2018). 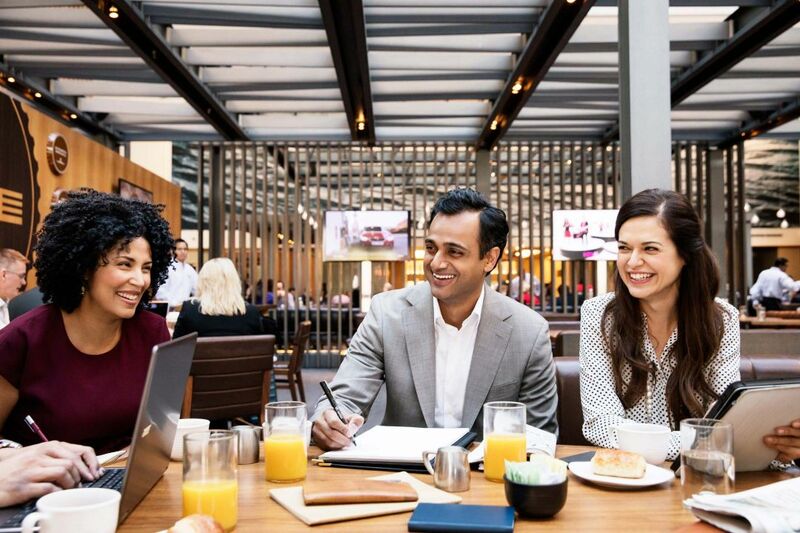 Hyatt Regency Orlando offers 315,000 square feet of versatile meeting space, professional event planners, and crave-worthy on-site catering. 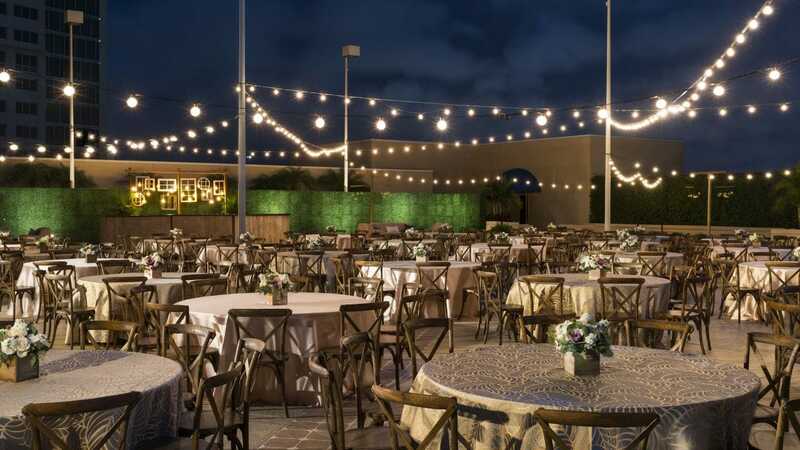 Charming outdoor terraces, flexible pre-function spaces, sunlight-drenched meeting areas, private dining rooms, pillar-free ballrooms … discover the myriad of options available at the only hotel directly connected to all concourses of the Orange County Convention Center by pedestrian walkway bridges. 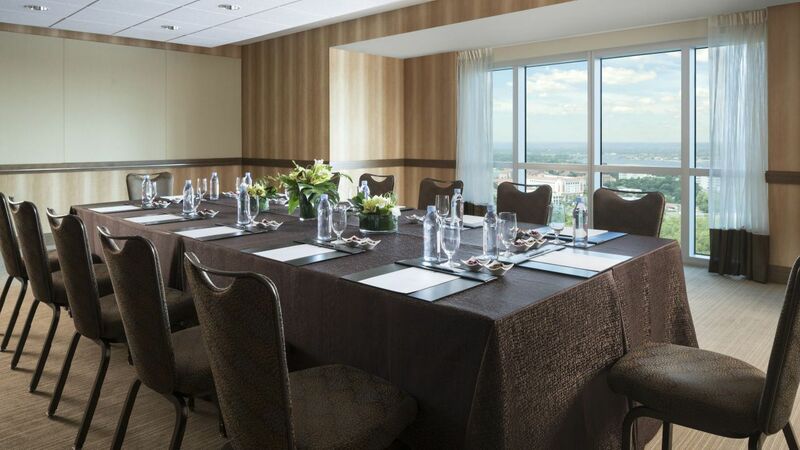 Want to host a truly remarkable meeting? 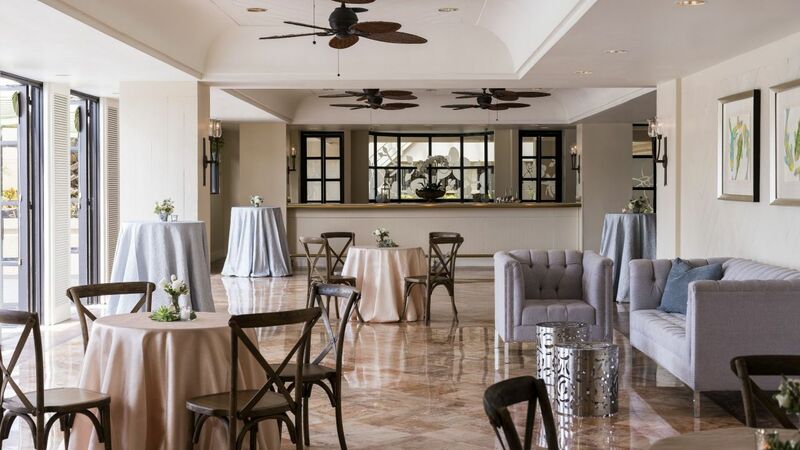 Choose from our robust selection of boardrooms, exhibit halls, and conference rooms—all just steps away from the OCCC—and partner with our event planners and catering team. 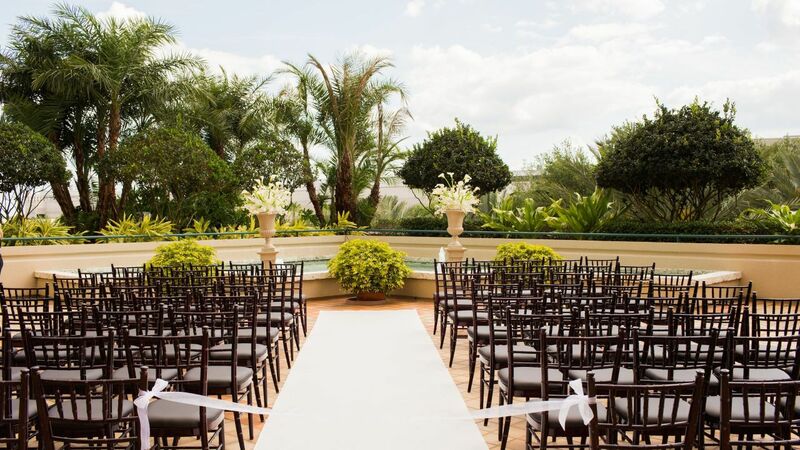 Whether you want a small, intimate gathering or a glamorous ballroom celebration for your big day, you’ll find a variety of suitable spaces at our Orlando wedding venue near International Drive. 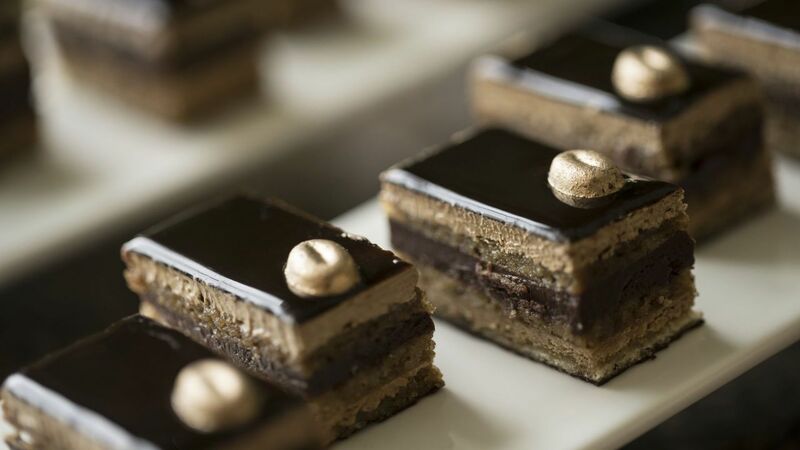 Keep your guests impressed and well-fed when you work with our professional catering team to craft a custom menu for your event. 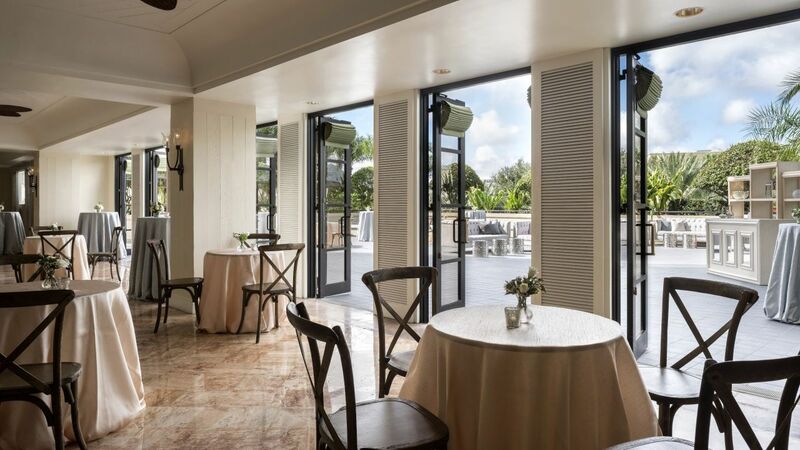 Available services include breakfasts, plated or buffet lunches, banquet dinners, and hors d’oeuvres.